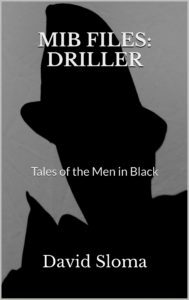 MIB Files: Driller is out! The latest story in the MIB Files is now out! MIB Files: Driller is available in ebook, soon to be paperback. When the Men In Black (MIB) show up at a construction site and haul the foreman away, he’s got no idea why, but he finds himself part of a strange situation, fighting for his life. The MIB FILES are stories of the paranormal, strange things, and UFO sightings with one thing in common: interactions with the Men In Black (MIB). These stories are stand-alone and can be read in any order. Destroyer: D.U.M.B.s. Book 6 – Now Out!